Souls Center is proud to support Ardent Art. These exquisite hand-beaded earrings are made by Native American men currently incarcerated at the Airway Heights Correctional Facility. ​100% of the proceeds go to buying supplies to support this fantastic work. 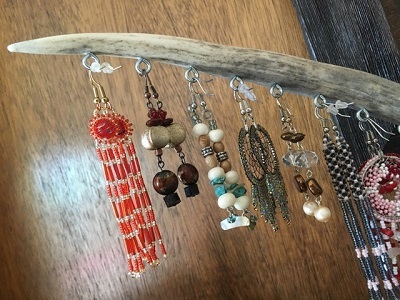 The earrings are sold at a suggested donation of 15.00 – 35.00 dollars.